There can be no doubt that centre back Rakitskiy is a player Zenit – on paper, at least – need. They have been lacking right across the defence in the first part of the season, though in theory there should have been enough cover at centre back. However, the same old errors have crept back into Luis Neto’s game after a decent short spell, and Miha Mevlija’s nerves seem to creep in at the most inopportune moment. It is also important – following a couple of years of Zenit signing foreign players who’ve not really adapted – that Rakitskiy should adapt well to St. Petersburg. I’m treading the fine line between language, culture and politics with this one, but Rakitskiy arrives in St. Petersburg speaking Russian fluently and having lived in a culture not at all dissimilar. His father also lives in the city and has done for many years. Rakitskiy will almost certainly walk into the starting eleven, but I guess there are a few questions to answer before we can be sure he will make an impact. 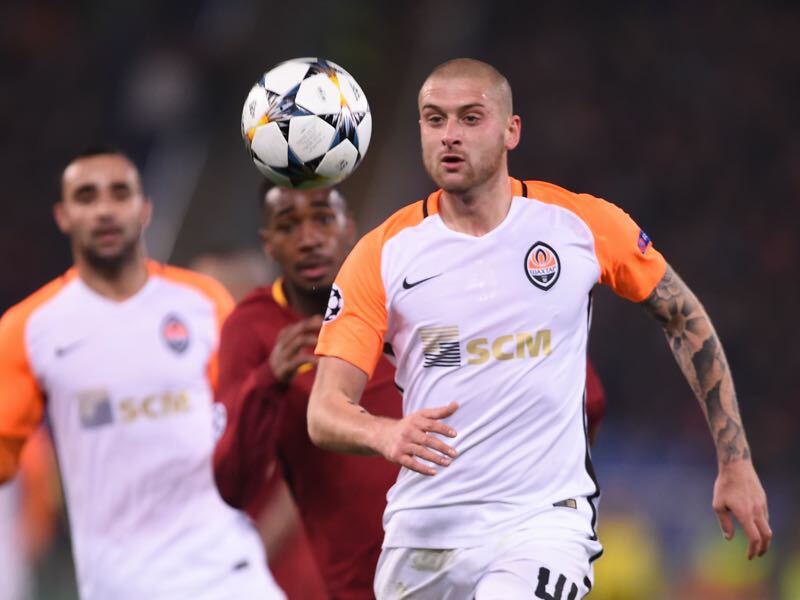 He might have been a key player at Shakhtar but in the Champions League this season he was part of a defence that shipped sixteen goals in six games (only Red Star Belgrade conceded more in this year’s group stage). That doesn’t bode particularly well if Zenit are looking to sign players who can help them make a dent in Europe. At 29, Rakitskiy is probably at his peak for a centre back. That’s good news, but also bad news in the sense that he probably won’t get any better than the player we see between now and the early summer. Let’s hope the peak lasts a few years. Also, one of his comments about his final season at Shakhtar has got me wondering slightly about his motivation on the pitch. “Maybe the emotions in my game faded slightly in the last year at Shakhtar,” he said. He went on to say that he’d be working hard at Zenit, but it feels like a slight cause for concern. When a new guy/girl joins the office or shop floor, it always feels a little concerning if they start to moan about their last job right away. Well, I got quite a way through without focusing on politics – but here I have to link a political point with a football one. Although officially it is the job of Ukraine head coach Andriy Shevchenko to decide whether Rakitskiy plays for the national team again, it seems unlikely. An article on Russian-language site Obozrevatel notes that an already negative feeling around the player’s involvement for the national side – many have questioned his patriotism – will now reach a groundswell, making it impossible for him to train and play normally for Ukraine. The national team’s loss will be Zenit’s gain as their player stays fresher over the season and avoids potentially long trips abroad; Zenit may also find that his career is prolonged because of this. Saul Pope has been following Russian football since the mid-nineties, and first saw a live game in 1998 (Zenit St. Petersburg vs Shinnik Yaroslavl’). He has been contributing to When Saturday Comes magazine for over a decade, with a particular focus on social, economic and political issues surrounding the game in Russia and, to a lesser extent, Ukraine. He has a particular passion for teams in and around St. Petersburg. A fluent Russian speaker, he graduated from the University of Surrey with a Master’s degree in the language. He lives in the UK but travels back to Russia on a regular basis. You can follow Saul on Twitter @SaulPope.